Earth… our home planet, a brilliant “blue marble” tirelessly turning through space on an endless journey around the Sun and across the galaxy. Basically a ball of molten rock and metal, its relatively thin crust is mostly covered by a sea of liquid water as well as wrapped in a sea of air… and it’s the complex interaction between all of these things that have allowed life to evolve, thrive, and — so far, anyway — continue to exist on this one particular world. But how exactly does this work? How, and why, do all of these different factors combine to make a habitable planet? Energy from the Sun, the movement of the atmosphere, the planet’s rotation, the constant churning of ocean currents, the upwelling of materials from deep inside the Earth… all of these play essential roles every day in the survival of nearly every living thing on our planet — including us. To truly understand life on Earth, we must first understand the complex interactions of these forces, and more. Luckily we have satellites, our “eyes in the sky” that let us look at the entire world on a daily basis and measure and monitor many different processes like never before, letting us see the otherwise invisible big picture of Earth From Space. 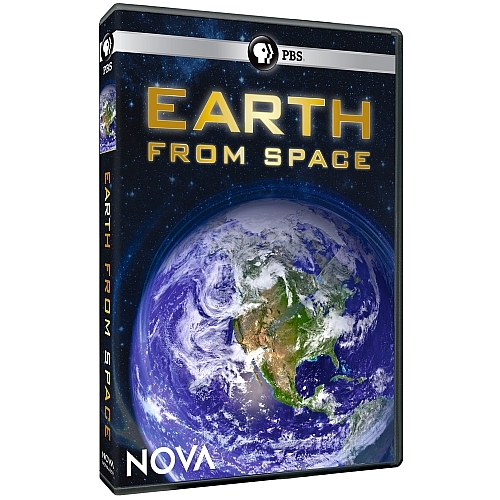 Produced by PBS as part of their long-running and much-respected NOVA series, Earth From Space shows us how some of the more than 120 satellites orbiting the planet are providing invaluable and unprecedented data on the atmospheric, geologic, and hydrologic processes taking place across the globe. From the ways the Sun heats the planet to the complex behavior of ice at the poles, from how ocean currents provide food for oxygen-producing phytoplankton to how ancient dust from the Sahara fertilizes soil in the Amazon, from Mumbai’s monsoons to the Atacama desert, Earth From Space tells how these seemingly separate events are all actually related in a web of connections fundamental to life as we know it. Earth From Space shows there’s not a day that goes by that any one point on the planet isn’t influenced by what’s happening somewhere else, whether ten or ten thousand — or 93 million! — miles away. And without satellites, there’s no way we’d even know about many of these processes and connections. Presented as an engrossing 120-minute documentary with amazing high-definition images of the planet from satellites, from the ISS and from exotic locations around the world, Earth From Space is a beautiful presentation of the informative power of these orbiting instruments — as well as a testament to their continued importance. 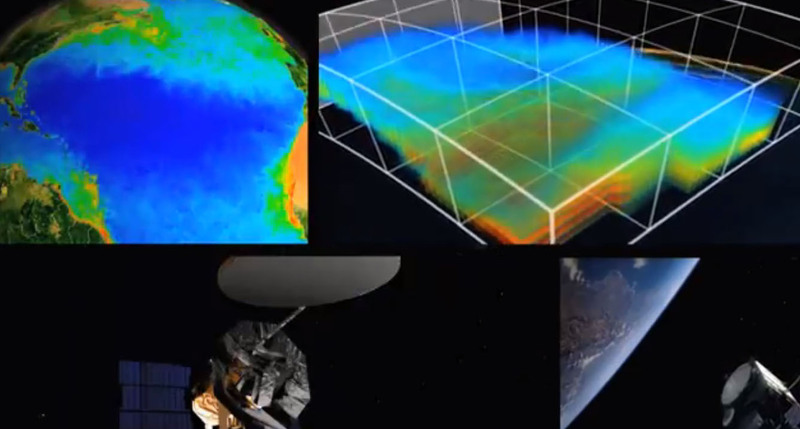 “The real power of satellite observations is that they represent objective truth,” says Piers Sellers of NASA’s Goddard Space Flight Center. Sadly, with many satellites coming to the end of their operational lives — some after several decades — and with no replacements planned, we may soon be left in the dark about ongoing global processes we have just begun to understand. And in a world of growing human population, rapidly changing climates, and increasingly unstable ecosystems, losing sight of the big picture is a frightening prospect indeed. Good luck, and find this and more science presentations from NOVA here. UPDATE: The contest is over — congratulations to the winners! I hope you enjoy your DVDs! The video is still available on the PBS site above. 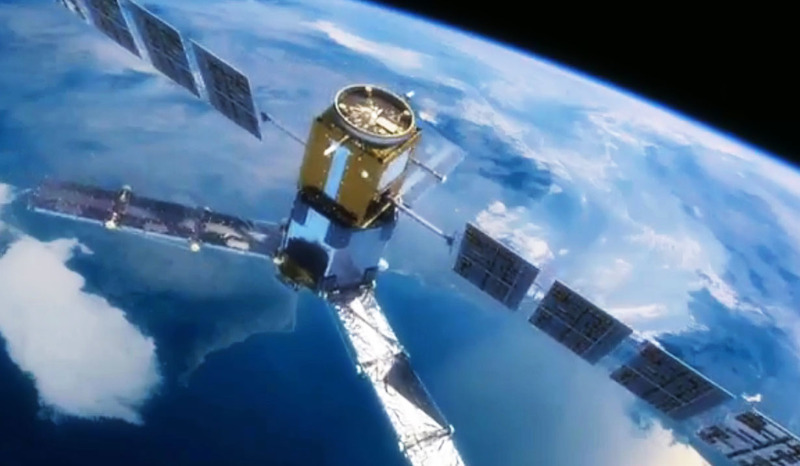 Screenshots via Earth From Space ©2013 PBS. All rights reserved. Now in its 40th season, NOVA is the most-watched primetime science series on American television, reaching an average of five million viewers weekly. The series remains committed to producing in-depth science programming in the form of hour-long (and occasionally longer) documentaries, from the latest breakthroughs in technology to the deepest mysteries of the natural world. NOVA airs Wednesdays at 9pm ET/PT on WGBH Boston and most PBS stations. Winners have been selected, yes. Will be notified shortly. I hope to win a copy…but probably didn’t as it’s now the 4th. Congrats to the lucky winners.